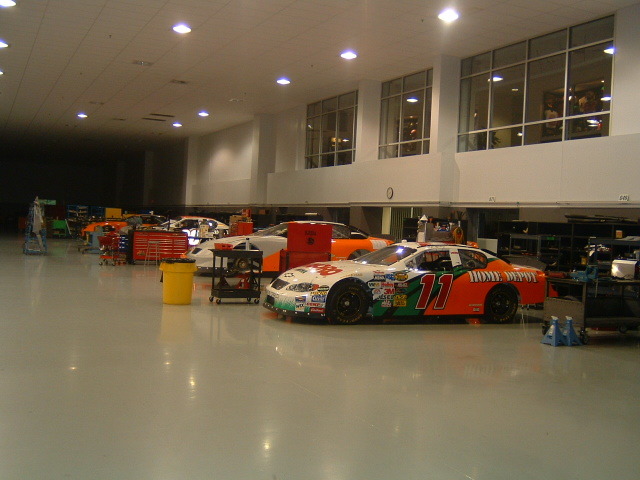 Several years ago I led a bible study for a NASCAR Nationwide Series team, BakerCurb Racing, when they were still in operation in Nashville. I always enjoyed getting there a few minutes early so I could look in the shop. The process of building racecars always amazed me. I am not a very mechanically inclined individual, so watching a stock of parts and raw materials that are really ‘nothing’ on their own quickly transform into an intricate racecar is pretty cool. There is an undeniable complexity of gears and wires, bolts and harnesses, framework and drivetrain that all have to be perfect in order for the racecar to actually ‘race’. What really strikes me is not that the pieces are able to come together to create such a complex machine, but that there are people who have the talent to put them together. After all, the parts and materials would still be unassembled in some shop if no one assembled them. A racecar doesn’t just ‘happen’. Racecars are the result of many long, hard, hours in a shop or garage somewhere…watching a creation come to life. One misstep in the building process could be catastrophe on the racetrack. The car has to be perfect. The building of a racecar has a lot of parallel to our life, and our planet. Every aspect of our body is designed to function perfectly, from our muscles to our digestive system, from our neurological system to our skeletal system. It all works, perfectly. The same is true of our planet; it is perfect for sustaining life. The right speed, the right size, the right distance…all of the pieces that make it work. Yet somewhere along the line we’ve heard ‘it just happened’. The reality is that it can’t just happen. 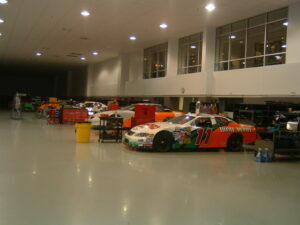 No more than a racecar can just ‘happen’ in a race shop without working on it (wouldn’t that be nice?)! CREATION demands a CREATOR. Life is the result of a perfect design. This is important, because as you begin to see that complex creations can’t just happen, then you begin to explore who created it then, and why. The complexity of the world exists so that there is no way we can deny God’s existence. He has shown us He is real by all he has made! Life is too complex to have just evolved. The planet is too intricate to have just ‘banged’ into existence. Once we acknowledge God’s existence, we can begin to believe His words in the Bible. In the Bible He gives us a beautiful picture of creation in the book of Genesis. He tells us why, and he tells us how. And that is where we will start off the year…with a fresh beginning, a fresh creation. He did it all because He loves you. Crazy love. You were worth it to Him.